I’ve been keeping my head down. I had a project to finish and I just had to get on with it. I’ll show you in a minute, but first – the giveaway. To my amazement I somehow managed at acquire 500 followers on Instagram. This was without seeking any, it just happened. so I decided to celebrate with a little giveaway. If you are an Instagrammer use the link above and follow the instructions if you would like to enter. You can also enter here. 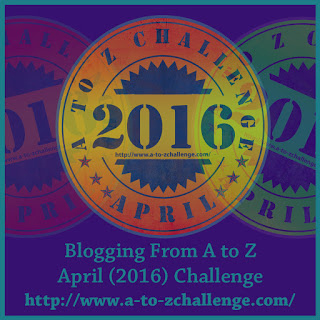 Doing both will give two entries! Entry closes tomorrow at midnight UK time. And now – the finished piece. 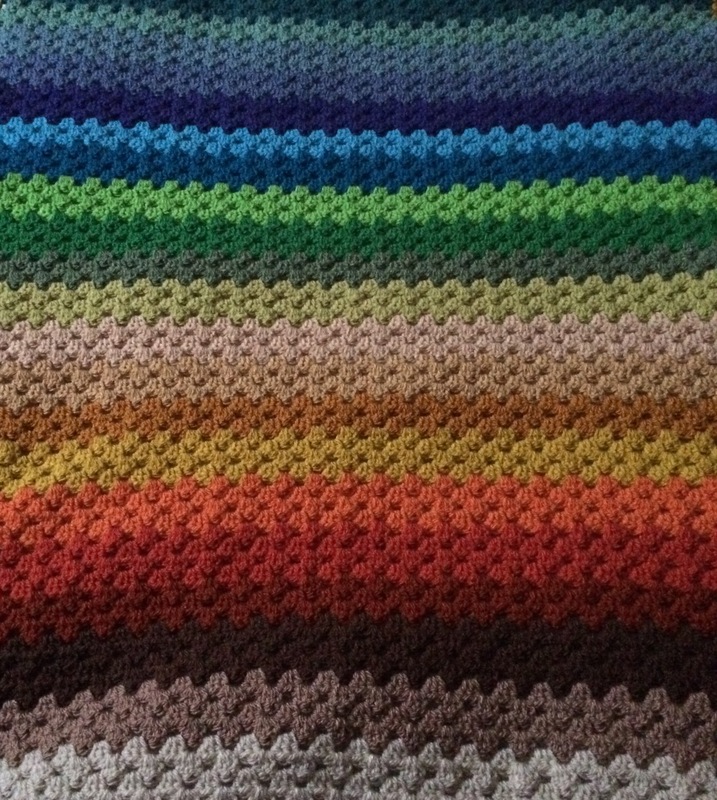 I mentioned I was starting the Rainbow Blanket, having previously shown you a few experiments, here and here. Well, after hooking almost at the speed of light I have managed to finish it. 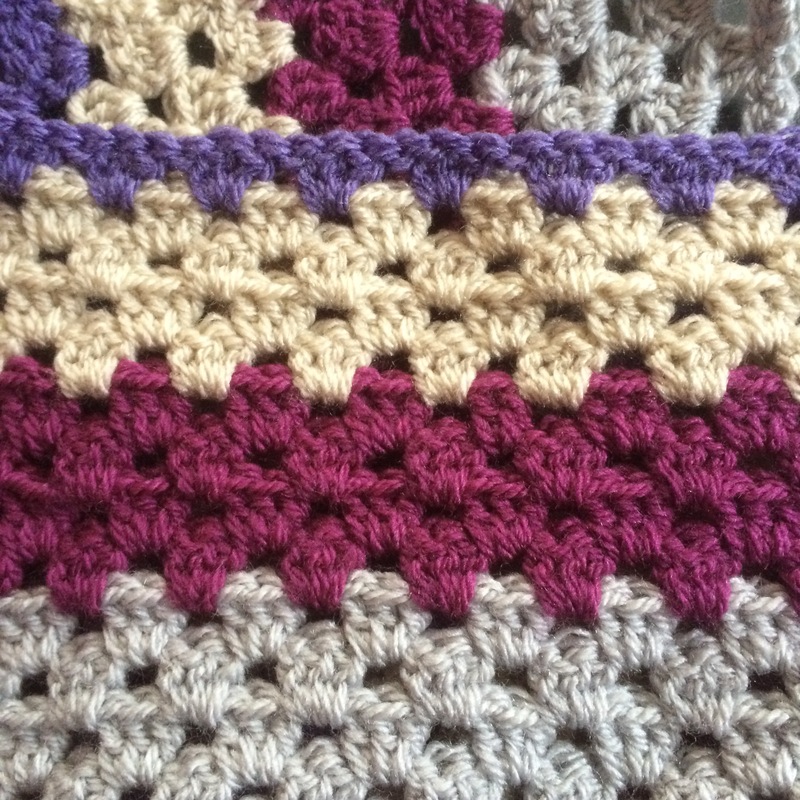 Here’s the result – all ready for blocking. Experimenting with Mustard and Tomato. Now I think I have my rainbow sequence. Watch this space. More of the new colours included in this sequence including Empire, Cypress, Pistachio, Kelly Green and Grass Green. The full sequence can be found here. Playing with a sequence to include some of the new Stylecraft colours. Second from the right is Lobelia and first on the left is Duck Egg. This is a baby sized blanket. The sequence above is noted here. 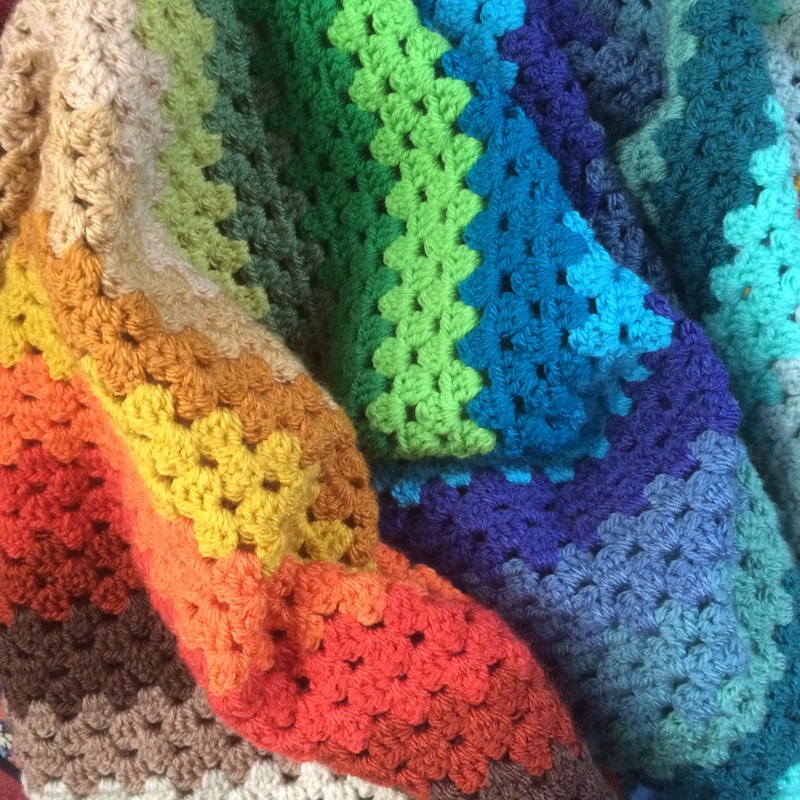 Author nuvofeltPosted on November 6, 2015 November 7, 2015 Format ImageCategories Blanket, Colour, crochet, This and ThatTags 2015, blanket, blue, Blue Blanket, color, colour, crochet, Granny Stripes, November, samples, Stylecraft, wip, work in progress, yarn1 Comment on Including Lobelia!